Details of the artist's early years remain sketchy. He was born Paul Alexander Theodore Ulanowsky (to which later was added the middle name Ernst, German for earnest or serious) on March 4, 1908, in Vienna, Austria, which was still at that time a recognized center of classical music. His father, Max Stanislaus Ulanowsky, born in, or near, Mokraya-Kaligorka, today Ukraine, was a singer and reportedly Kammersinger to the court at Prague, later moving to Vienna, where he studied with Josef Gänsbacher, a leading teacher and a personal friend of Johannes Brahms. He became a respected teacher and in 1906 married his best student, Lili Malvine Glaubauf, who also became a well-known singer and teacher. One of the stories which my father enjoyed telling, was that he had been in the United States before he was born! The answer to this riddle was that his parents had come to America in 1907, where they sang at the Liederkranz Club in New York while his mother was pregnant. Click here for some heart-warming early childhood memories which Paul's sister, Lilian, recounted to her daughter. From the age of 19, for about 10 years, he was the official pianist and celesta player for the Vienna Philharmonic, a singular honor for such a young man. During this time, Bruno Walter led the Philharmonic in a recorded performance of Mahler's "Song of the Earth,'' at the very end of which the celesta makes its only entrance--in this case, with Ulanowsky at the keyboard. There is a delightful personal recollection of Ulanowsky by Maria Altman, from 1937 Vienna, in the book The Lady in Gold (Anne-Marie O'Connor, 2015), regarding his playing at the home of a friend. It is in the chapter, "You Are Peace," a reference to Schubert's Du Bist die Ruh, where he is recalled as already one of the finest pianists in Vienna. Ulanowsky's career as a vocal accompanist was launched in earnest when renowned contralto Enid Szantho, then singing at the Vienna Opera, engaged him for her U.S. tour in 1935. They returned in 1936, and it was during this tour, in the spring of 1937, that what was to become one of the most important features of Ulanowsky's career emerged. One of the world's most famous operatic sopranos, Mme. Lotte Lehmann, attended one of their concerts. Following the performance, she went backstage and made an appointment for Ulanowsky to come and audition for her. As he later described it, the audition did not take long. Lehmann had him play just a few measures of each of several songs, and engaged him on the spot for her first Australian tour. For the next 14 years, through the end of Lehmann's singing career in 1951, Ulanowsky remained her accompanist. (Read her tribute to him.) Subsequently , he accompanied a number of her master classes. During his last 12 years, he was pianist with the renowned Bach Aria Group, an ensemble of leading singers and instrumentalists, which toured once each year and played regularly at New York City's Town Hall. The group was formed by William Scheide, an accomplished organist, who, rejecting Romanticism and Modernism as the basis of a new music, to continue the inspiring beauty of the classical tradition, turned to the music of Bach, especially the vast repertory of cantatas. At the time, Bach's music was in eclipse on the public concert stage, and the success of Scheide's effort contributed significantly to the revival of the Baroque master. Ulanowsky's résumé also included summer coaching at the Berkshire Music Center at Tanglewood in Massachusetts, 1950-56; faculty membership at Boston University School of Music, 1951-55; several summers of teaching and performing at the Yale University Summer Music School in the 1960s; and professorship at the University of Illinois School of Music (Urbana). 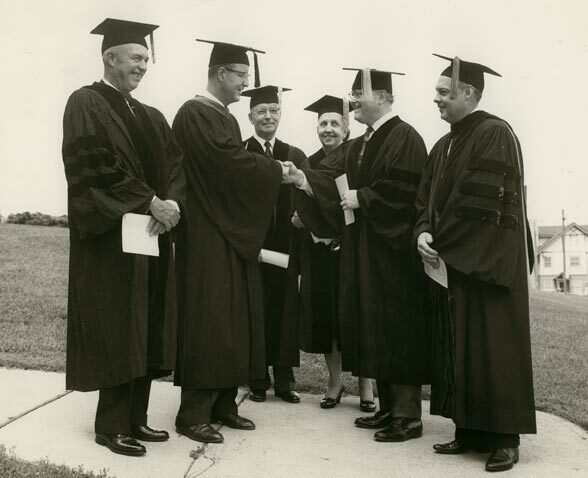 He also held an honorary doctorate from the University of Cincinnati Conservatory of Music, where he gave a beautiful commencement speech in June 1962. Click here to read the full speech. 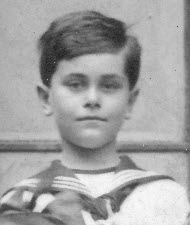 Cropped from a grade school class photo. For full image, Click here. 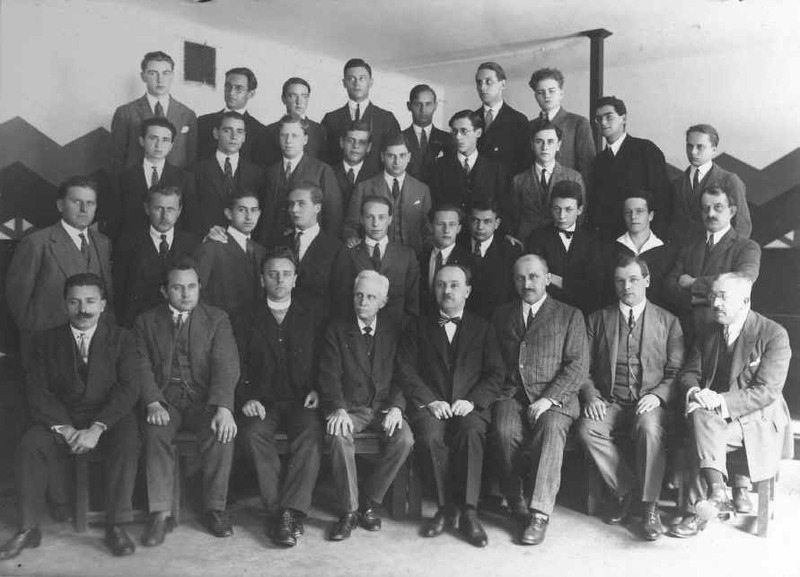 Ulanowsky, 3rd from right, second row down, possibly with his class at the Vienna Conservatory, perhaps his first, 1926. Click on the photo for a larger version. If you can identify anyone else in this photo, or its location, please contact me! A youthful portrait, perhaps circa 1928. Ulanowsky playing (celesta?) 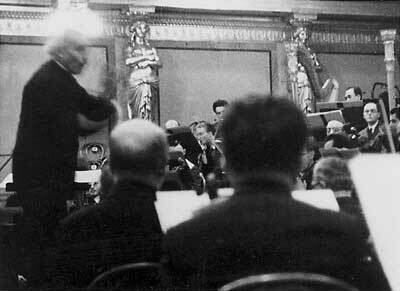 under the baton of Arturo Toscanini (Ulanowsky far right); below, an autographed portrait postcard of the conductor, presumably obtained at the same occasion. 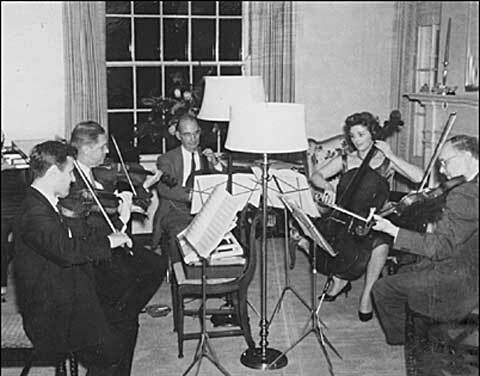 Playing viola in chamber music (r.), probably late 1950s. Location and other musicians unidentified. If you can identify, please contact me. 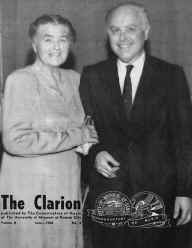 Ulanowsky and Lehmann on the cover of the June 1966 The Clarion, at the Conservatory of Music at the University of Missouri at Kansas City, where they gave master classes. 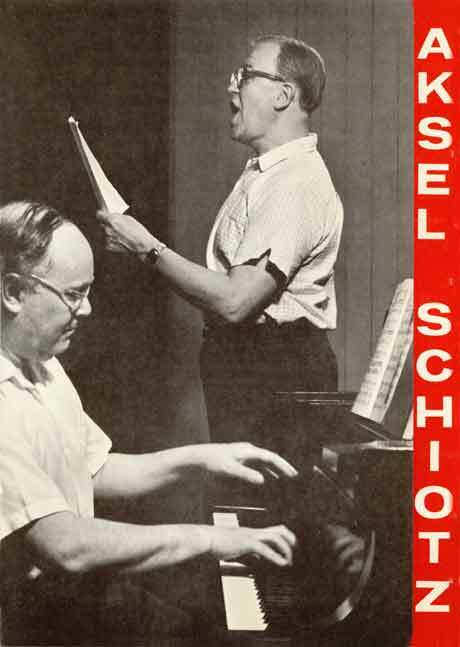 Accompanying Aksel Schiotz in rehearsal for a Lieder album following the singer's recovery from a stroke.